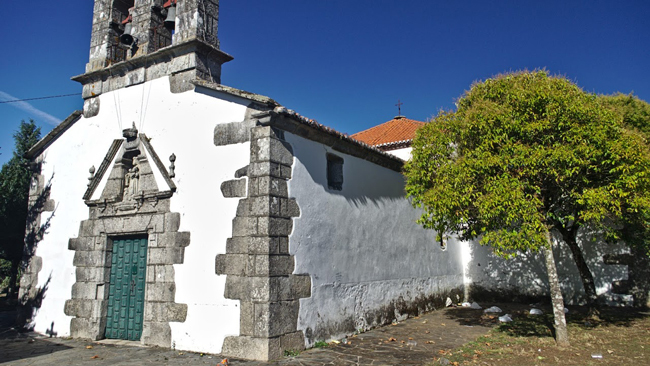 It is situated in the highest part of the town of Melide, in the área know as O Castelo. The temple represents a characteristic example of baroque architecture of Compostela style, from the middle 18th a triangular split pediment, in the centre you can see the stone image of the Virgin Carmen with the child in arms, and at her feet the image of San Simón kneeling. Inside the baroque altarpiece stands out.